In one of the world’s poorest nations, the self-taught Malawi Mouse Boys have defied adversity by making gospel-like music together since they were children. They craft songs of faith and love combining uplifting harmonies with rhythmic playing on four-string guitars, built from scrap metal, and on makeshift tin-can drums. Discovered on a road trip by Ian Brennan, award-winning producer of the Malian band Tinariwen, and subsequently brought to the Womad Festival to rave reviews, the Malawi Mouse Boys work around the clock whistling and waving their wares (mouse kebabs) to passing traffic. 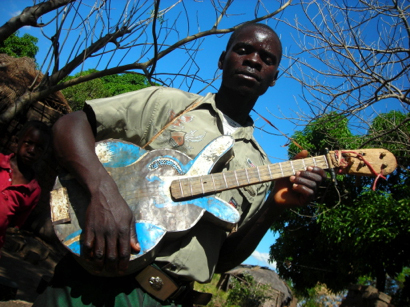 This program is a rare opportunity to see a band from Malawi in the US.